Ice cream is now divided into two types,one is hard ice cream,another is soft-serve ice cream. Hard ice cream mainly be made in the ice cream plant, they are frozen and then sent to the store. There are two kinds of hard ice cream in general. 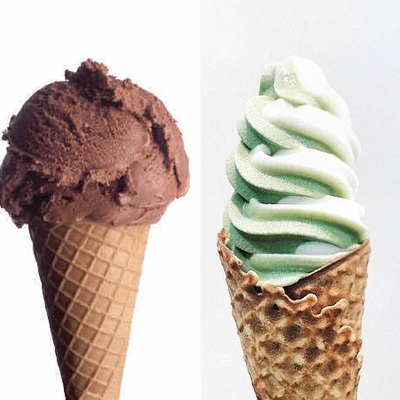 One is stick ice cream , another is made by ice cream machine and then made into a ball shape.Soft-serve ice cream is softer than hard ice cream. It tastes smooth and soft. AB Mould Stick ice cream machine specially make four color screw type ice cream. Welcome to browse our website for more information on industrial ice cream machine. What’s IML?The IML, which has been finished printing and die cutting, is generally placed inside the open mold by Robot Arm. Then the label is fused into the surface of the plastic products, in the process of the product forming. The combination between the label & the plastic product is natural & it completely becomes a part of the plastic product & has a significantly better appearance, which appears “no label look” effect.